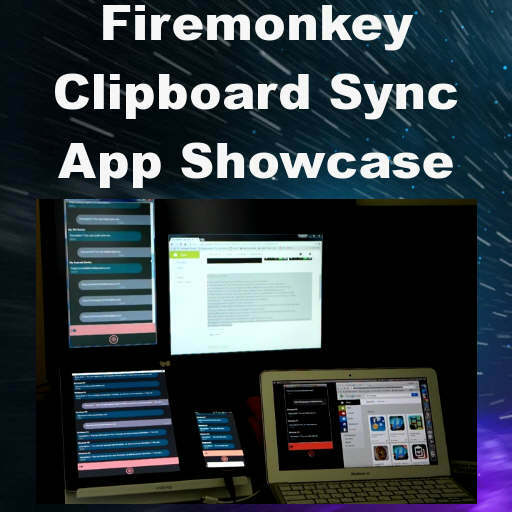 Developer Sanghyun Oh has a demonstration app which features syncing text across all platforms with Delphi Firemonkey. The source code is not available but you can install the app on Android, IOS, OSX, and Windows. The app allows you to copy text on one device and then paste that same text onto another device. It is called Clipboard Sync. The Android and IOS versions of the app are available from the app store. Additionally, there is a video below where he demonstrates the app on all of the different devices at the same time. I believe the TAppTethering components in Delphi Firemonkey are used for syncing the clipboards but it could also be a custom solution. The apps are probably built in Delphi XE7 based on the timeframe when they were released though it could also be built with Appmethod or C++Builder. Head over and check out the full blog post with more screenshots and then download the Clipboard Sync to the device of your choice.